Organic & therapeutic hair care. 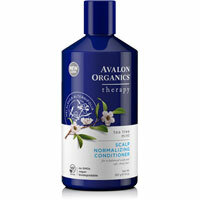 Avalon Organics skin care, hair care and bath & body products are deep-rooted in a profound respect for the earth. Discover beauty that’s beyond skin deep. Humbled by a profound respect for all living beings, Avalon Organics products are vegan* and cruelty-free. The Avalon Organics brand never tests products on animals, and will only source ingredients that the supplier can document are not tested on animals. This commitment to kindness is represented by the leaping bunny logo that appears on product labels. *Avalon Organics100% vegetarian lip balms are made with organic beeswax and are not vegan.